The perfect nursery bag for a duo stroller where children are sitting next to each other! 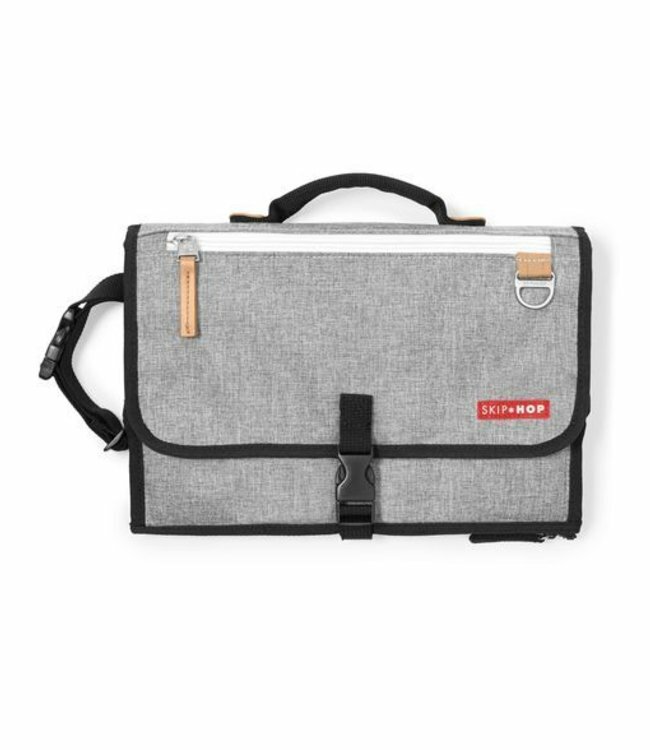 This Duo Double heather gray from Skip * Hop has 16 handy storage compartments. Read more.. The perfect nursery bag for a duo stroller where children are sitting next to each other! 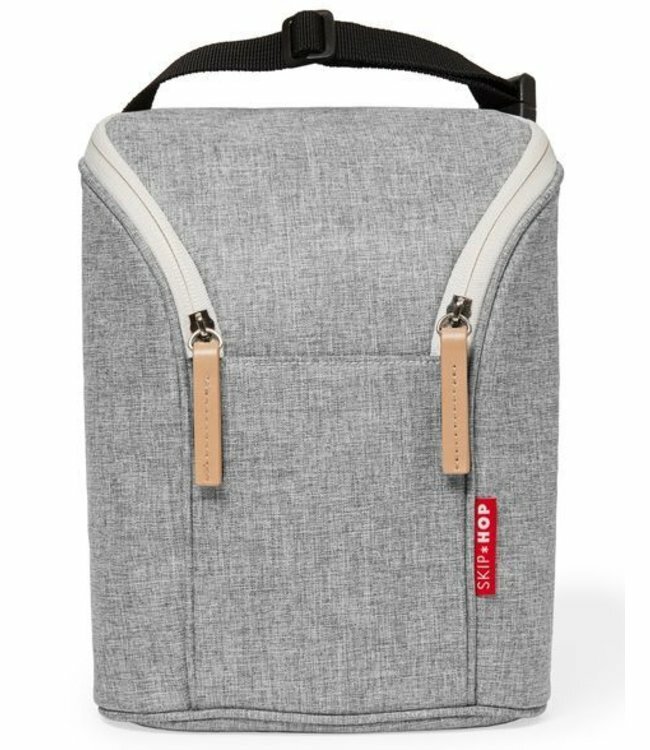 This Duo Double heather gray from Skip * Hop has 16 handy storage compartments. 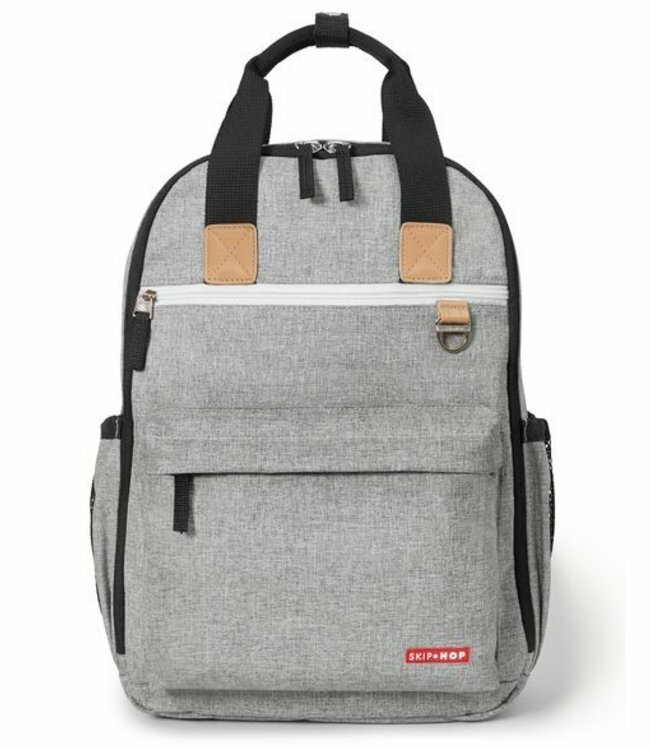 The nursery bag can be worn both on the handles and with the shoulder strap. The Shuttle Clips make it easy to attach the nursery bag to the duo stroller. Store all your baby's stuff neatly in the provided storage compartments on the inside and outside! A removable nursery mat is included with the Duo Double.